There’re billions of web searches conducted every month. 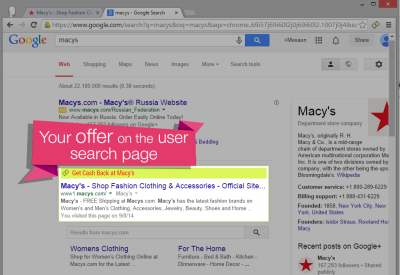 Our solution ensures that your users won’t miss your affiliated merchant as they search for online shops on the web. 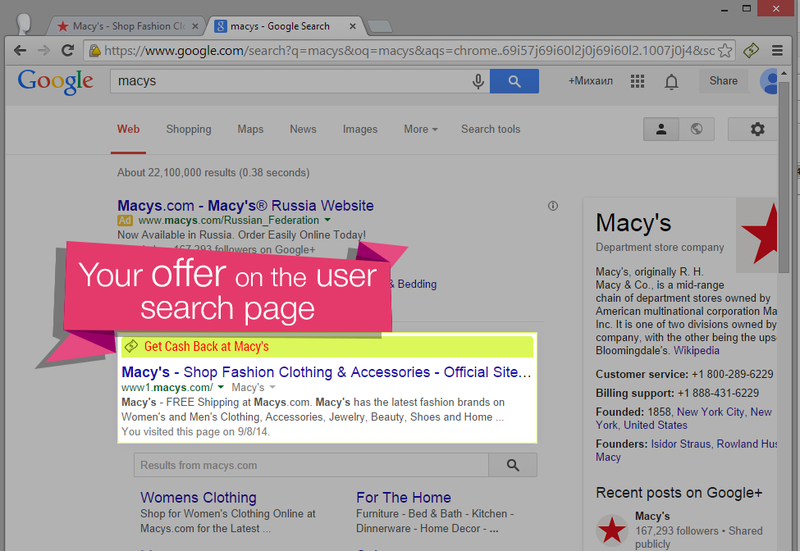 SERP injection means your icon will be displayed next to relevant listings on major search engines such as Google. This immediately alerts the user that they can get cashback from you for purchasing on these sites.